You are buying 1x 180W led spot light. Comes with brackets that can be easily adjusted and mounted. Great for 4wd lights, spot lights for hunting rabbits, led work light, digger lights, reverse lights and anywhere where you need additional lighting. See my other llistings for a switch that can run this light bar. 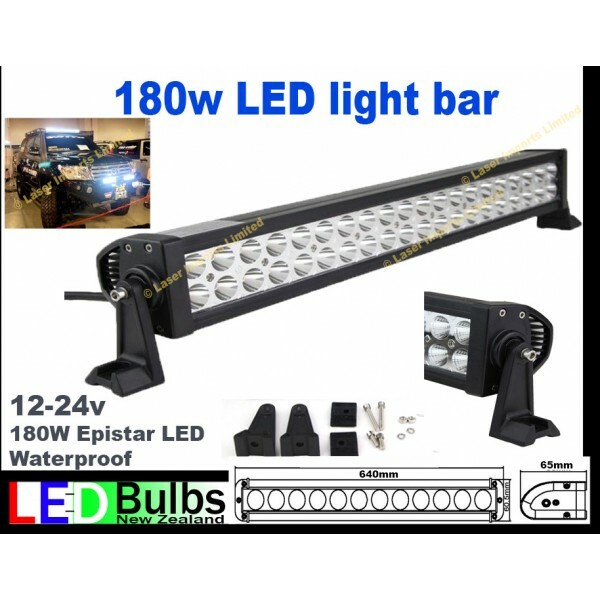 See our other led work lights, amber beacons, led spot lights, led light bars 15W, 27W, 40W, 60W and 120W as well as led beacons, warning lights and strobes.